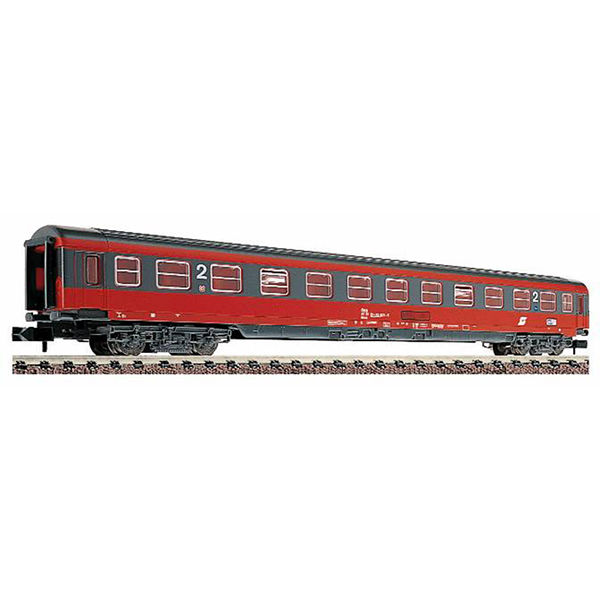 EC/IC coach 2nd class, type Bmz of the OBB. Overall length 165 mm. With interior fittings. Super detailing, livery, and lettering. Inset windows. The coach is equipped ready to install interior lighting. Epoch V.